Refreshing drinks to mix with Fleur de Sureau Sauvage. St-Germain is far and away the most popular elderflower liqueur; odds are you’ve had a St-Germain and Champagne at some point in your brunch-going life. But recently, we’ve fallen hard for Giffard’s Wild Elderflower liqueur, or Fleur de Sureau Sauvage. Made from small, yellow elderflowers harvested from the French countryside, it’s less sweet than St-Germain and more aromatic, with a trace of an herbal, almost vegetal character alongside the familiar sweet floral. It makes for dynamic, complex cocktails, especially as summer approaches. Here are three original drinks we love. Fragrant, floral elderflower and sparkling wine — it’s a combination that needs no introduction. The wild elderflower’s range of delicate flavor is easy to appreciate with a big pour of bubbles. 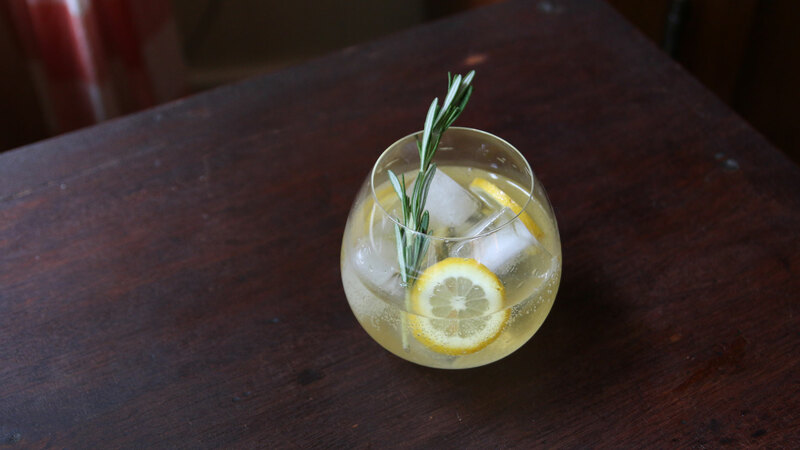 A rosemary garnish adds a compelling herbal flavor, while a little bit of lemon juice brightens the whole thing up. One of the best, simplest brunch drinks we know. 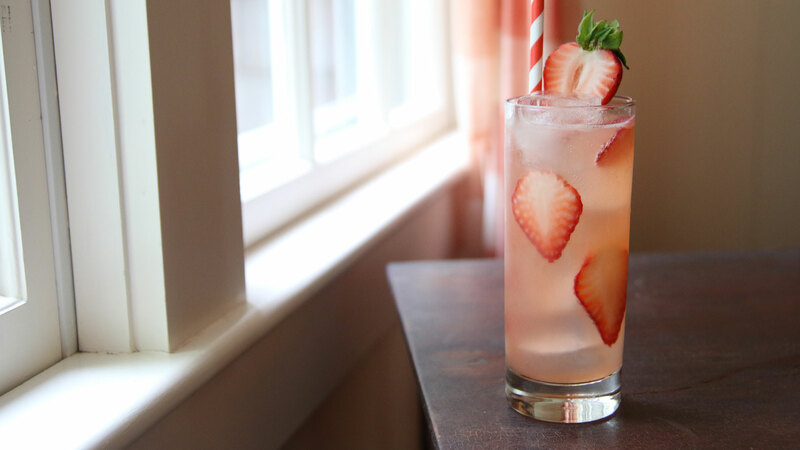 Elderflower is a natural match for any kind of fruit flavor, as in this lively spring cocktail with strawberry, lemon, and gin. A good pour of club soda makes it even more refreshing. Instructions: In the bottom of a cocktail shaker, muddle (that is, smash up) one large de-stemmed strawberry. Add ice, plus an ounce and a half of gin (use a good London Dry gin like Beefeater), 3/4 ounce of elderflower liqueur, 3/4 ounce of fresh lemon juice, and a quarter-ounce of simple syrup. Shake all that up until well-chilled, then then double-strain (through the shaker’s own strainer and a fine mesh strainer) into a tall glass with fresh ice. Top with an ounce of club soda. Garnish with a few strawberry slices and a straw. Light blended Scotch can have floral, heather-like aromas, which are a perfect match for elderflower liqueur. Here, we’re uniting them in a classic sour, with lemon, a little sweetener, and egg white. That egg white is key here — it doesn’t add an eggy flavor, but contributes a delicate, silky texture that really makes the cocktail. 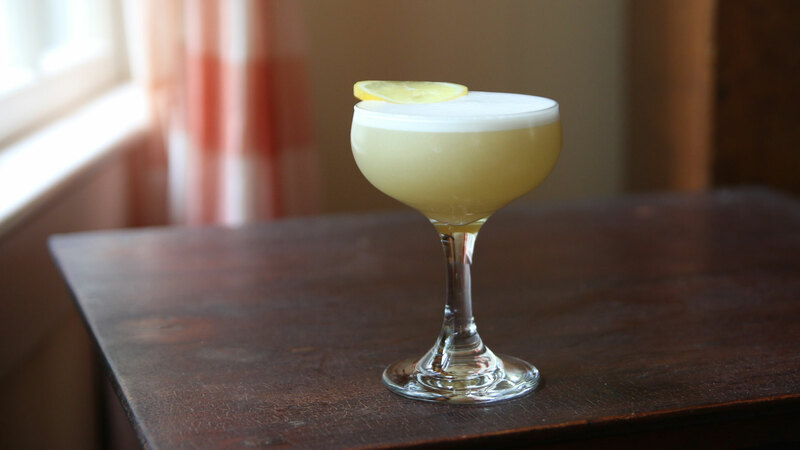 Instructions: In a cocktail shaker without ice, combine two ounces of blended Scotch (we’re using Famous Grouse), 3/4 ounce of elderflower liqueur, an ounce of fresh lemon juice, a quarter-ounce of honey syrup (that’s honey dissolved in an equal part of hot water), and one egg white. Shake all that up without ice to aerate it — that’s called a “dry shake” — and then add ice and shake again for a “wet shake,” to chill it down. Strain into a cocktail glass. Garnish with a thin lemon wheel.